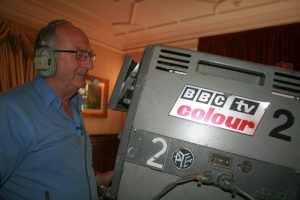 Dave Taylor joined the BBC in 1965 and began his career working in Cardiff as a radio sound assistant. Having always wanted to be a camera operator, he relocated to Manchester in 1967 to fill a shortage in the region’s camera department. Here he first began work as a ‘cable basher’, the junior in the rigging and camera team, and, after being given an opportunity to operate a camera on an episode of The Sooty Show, spent the rest of his career as a cameraman, eventually becoming camera supervisor in 1978. In Manchester, Dave worked on outside broadcast scanners including North 3. Being a cameraman in the regions differed from London, as they were required to work on both OBs and Studio productions, rather than specialising in one. And it was common in regional production to use OB trucks as mobile control rooms for studio spaces. 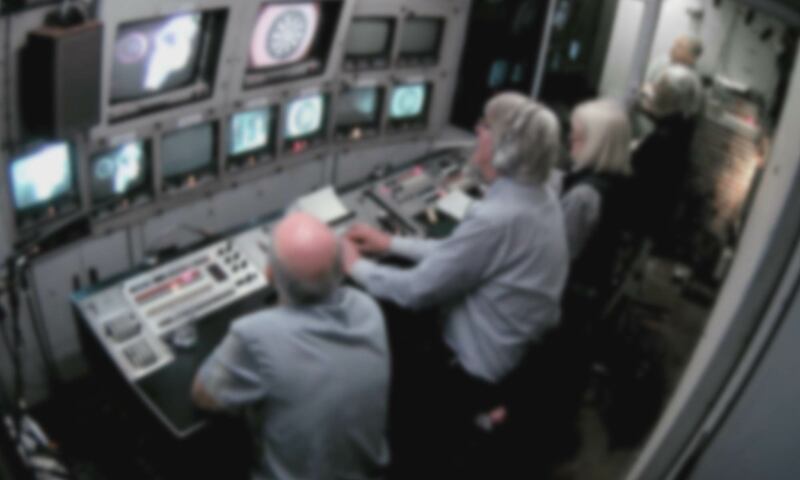 An OB truck could simply be driven to the studio, the equipment setup within the studio space, and the programme recorded or broadcast via the control room of the scanner. This meant that Dave worked producing a wide range of programmes such as The Good Old Days, It’s a Knockout, and over 30 Grand National races. However, despite the prestige and acclaim of certain programmes, Dave remembers that, for camera operators, all programmes were of equal stature and importance when on location. Whether it be local news or or major state events, each programme commanded the same high standards and commitment.